Our neck being very vulnerable must not be subjected to extreme bending positions. Especially the backward bend is way more dangerous. Way back, I had posted about the "Sink Shampoo Syndrome", also called as "Beauty Parlor / Salon Stroke Syndrome" which is caused by leaning back into the hard portion of the salon sink with the neck tilted backwards, either for a head massage or for shampooing hair. Apparently, placing the neck in such an awkward position can not just cause severe neck pain but also lead to life threatening conditions like stroke. Read all about it in "Can a shampoo session in a beauty parlor trigger strokes?" Recently a yoga practitioner and an instagram / YouTube influencer Rebecca Leigh had a stroke while doing a hollowback headstand yoga pose. She tore a cartoid artery, apparently sending blood to her brain. Extreme neck movement has been associated with cartoid artery tears, which can cause strokes. When I was reading about this, I was reminded of the "beauty parlour syndrome" and the dangers of hyper-extending the neck backwards about which I had written earlier. It is believed she tore her right carotid artery in her neck while performing a 'hollowback' handstand. 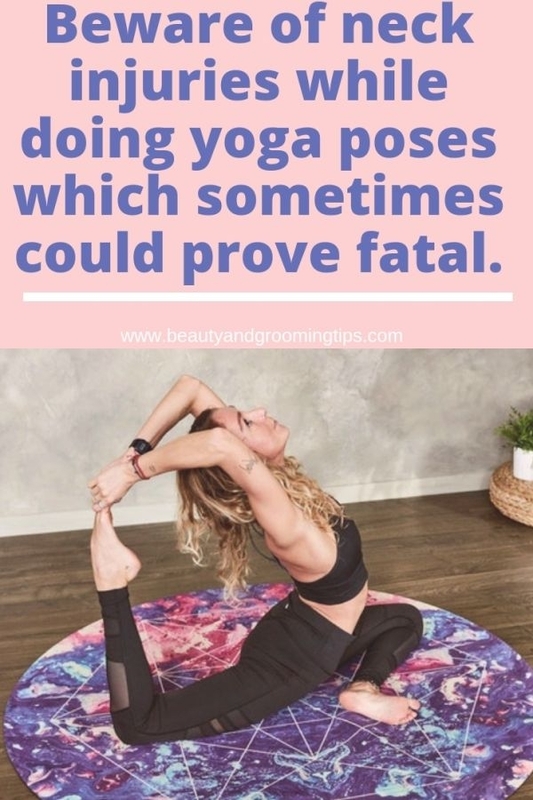 Leigh had shared her story with the media to help people who might have had similar issues and to warn them about the risks of certain yoga poses but unfortunately she was subjected to criticism ,shamed and abuses were heaped on her. Extreme neck bends while doing yoga might lead to injury and sometimes stroke. 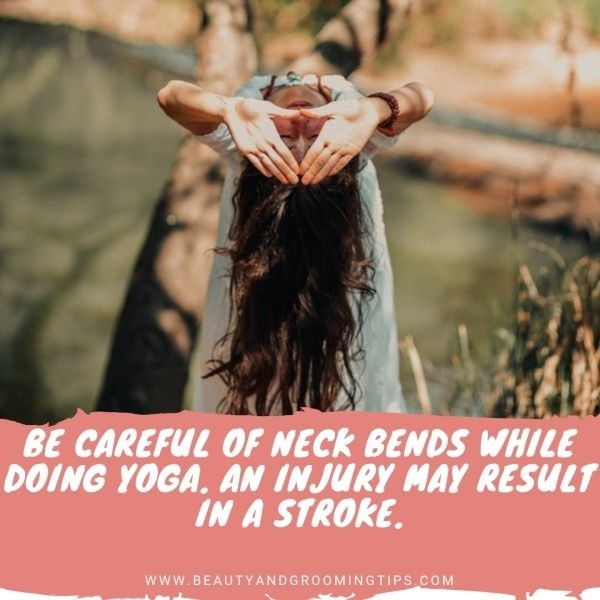 Whether you are doing neck exercises or yoga poses that demand extreme movements of the neck or going for a shampoo session at a beauty salon, be cautious and careful enough to not injure your neck as it can lead to catastrophic consequences, as we have seen. And even if you have doubts about the slightest injury to the neck either after doing exercises or after a visit to the beauty parlour, do not neglect the symptoms and rush to your doctor at the earliest. So will you follow this advice? Have you ever done such vigorous yoga poses with extreme bends? Do share in the comments.